No matter what the reason may be for your upcoming move to Fort Worth, Texas, whether it's going to be because of your current line of work or perhaps it's just you've decided to want a change of scenery, you need to get yourself properly informed before you move to this city. Right about now, some questions might be buzzing around your head. What's the weather like in Fort Worth? 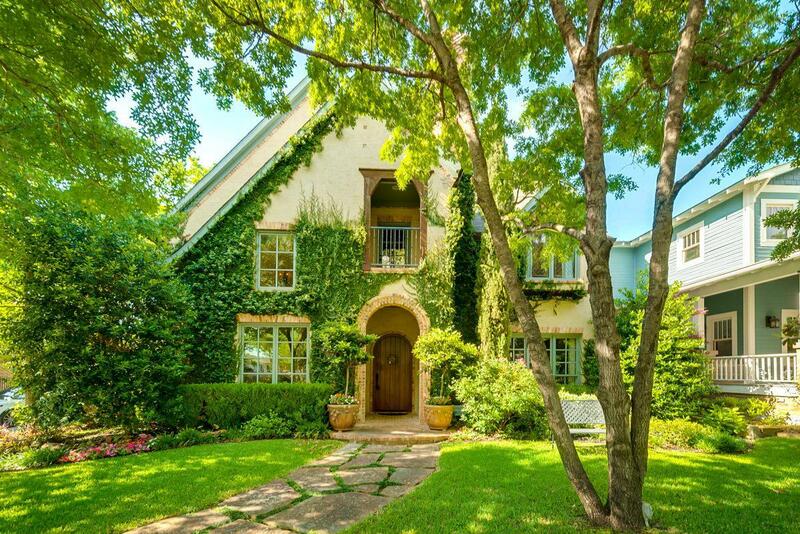 Is it expensive to live in Fort Worth? Do I need to own a car or could I get by with just my bicycle? 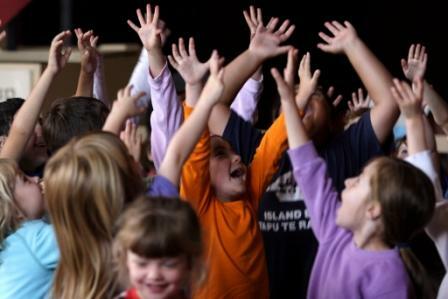 What are the schools that I can reach out for my kids' education? Before panic seeps into your very core, you need to calm down first. Moving day will come eventually, but stressing over everything all at once can make you inherit a mental breakdown. If information about the city is what you seek, then you can find it here. Just like moving to any other city, one of the things that you've been thinking about is Fort Worth's climate. If you're not used to sweltering weather yet, then perhaps it's high-time to bring out the sunblock and sunscreen because you're going to need it. According to bestplaces.net, Fort Worth has an average of 229 sunny days annually. Summertime is usually the hottest in the city, and many of the populace don't like it. July is considered to be the most scorching out of all the months of the year as temperatures can rise to about 95F. During summer, humidity can also be at an all-time low, so don't expect any rain to pour down for days. There are even times when the temperatures can reach three digits in your thermometer. When the month of January hits, it is considered to bring about the lowest temperatures for the year. During this month, the temperature will drop to about 35F. Therefore, don't forget about packing your coats, jackets, sweaters, and gloves because it can get pretty cold during January. However, you might want to pack more thin clothing because most of the year it's going to be all about the sun. As per Sperling's comfort index, Fort Worth, Texas scores a 65 out of a 100, wherein a score closer to 100 means the city has more comfortable year-round weather conditions. For comparison's sake, the US average for the Sperling's comfort index is 54. Due to the city's location, it might often become susceptible to supercell thunderstorms. Hail commonly accompanies these thunderstorms, and there are times when tornadoes can get mixed in with the other weather conditions. Rains become more frequent in May than any other month of the year in Fort Worth. On average, the city experiences about 34 inches of rain per year. If you're expecting snow during the winter season, then don't set your expectations too high. It is because the city only receives approximately 3 inches of snow annually. Fort Worth is considered to be the city of "Cowboys and Culture," and it's more than just a tagline. If you're looking for cowboy culture and many parts that will scream "the Old West," then this is your place to be. For instance, once you've successfully moved to this city, you can take advantage of seeing the Old West as it is preserved through Fort Worth's Stockyards National Historic District. Another option is to visit Sundance Square, which is located in the city's downtown area. Even though Fort Worth, Texas thrives in culture for the Old West, it doesn't mean that just about everything about the city is related to cowboys. The city has a good mix of modern and classic, especially when we're talking about its business district. There are now fortune 500 companies that have branches and headquarters found within the city's borders. For example, you can check out popular establishments such as American Airlines, XTO Energy, BNSF Railway, and much more. A lot of small-to-medium enterprises (SMEs) can also be found within the city. Moving forward, perhaps one of the reasons why you want to move to Fort Worth is due to its relatively affordable housing rates. The city also thrives in a low unemployment rate. Fort Worth, Texas is known to be "Where the West Begins." The city is teeming with its heritage as you can find remnants of the Old West in just about every place you look. It all began as an army outpost back in 1849, and it has now become a city thriving in business and culture. It also made a name for itself as it was the last major stop for the renowned Chisholm Trail. This trail is where the wranglers guided millions of herds of Longhorn cattle towards the north, which eventually led them to the market found in Kansas. Aside from it being "Where the West Begins," and having a tagline of "Cowboys and Culture," another nickname that you might not want to forget about Fort Worth is "Hell's Half Acre." It is because the city is also teeming with businesses found in its red light district. There are gambling parlors, dance halls, and saloons, and many of them retain the Old West motif that you might like. Many residents of Fort Worth now call it "Cowtown," due to the city having been near to the Drovers' Trail, along with its plentiful cowboy heritage. 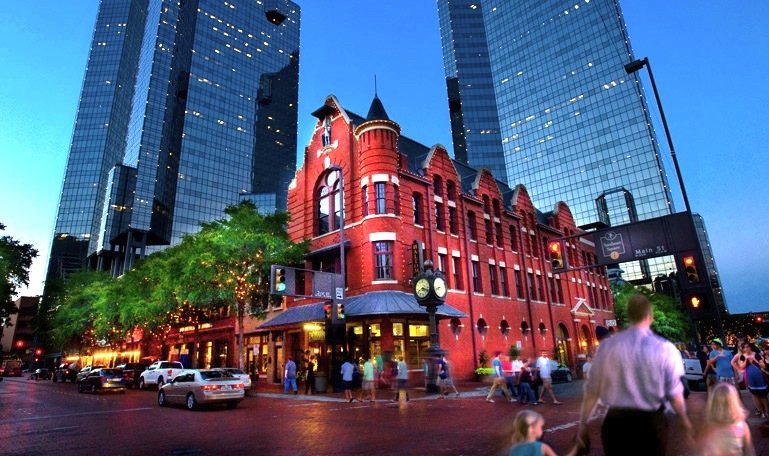 Just like in the old days of the West, there is no shortage of attractions to experience in Fort Worth, Texas. It has a thriving nightlife, and you can also experience the Fort Worth Stockyards, which is a premier livestock center. If you want a peaceful environment, then you can also engross yourself in the town's art museums, symphonies, operas, ballets, and famous concert venues. If you're planning to move to Fort Worth, or perhaps you're already about to move there, then you might be happy to know that the city is known for its reasonably low prices. Many necessities can fit most budgets, and even housing might give your bank account a breath of fresh air. According to expatistan.com, the average price of renting a 900 sq ft furnished accommodation that is located in an expensive area in town is about $1,555. If you plan on moving on your own, then you can probably rent a studio-type apartment that has a price that can go as low as about $700 per month. For food in restaurants and outlets, you can get a basic lunchtime dish for roughly $11, and that already includes a drink. Groceries and food to fill up your refrigerator back at home are also decently priced. On average, Fort Worth's cost of living is cheaper than that of Dallas. In fact, living in "Cowtown" is cheaper than many of the nation's other cities. The cost of living index according to bestplaces.net for Fort Worth is 95.40 out of 100, wherein 100 is the highest. Healthcare and utilities are highlighted to be the most budget-friendly categories when living in this city. Other categories include groceries, housing, and transportation. Many occupations in Fort Worth are coming from the Management, Business, Science, and Arts sectors. According to livability.com, the employment rate of the city is 96.5%. It means that even if you're still going to look for a job in this city, chances are you're going to land one soon after you've finished unpacking and getting everything sorted out. The list above is ranked from the most number of businesses in Fort Worth to the lowest. The list above is ranked from the highest paid job in Fort Worth down to the lowest. If you want to check out the entire list, you can click here. If you're a young professional, Movoto ranks the downtown area of Fort Worth to be a prime place to settle. With the population in the area to have an average age of 39, and with a low crime rate, it is a thriving city of people numbering more than 5,000. The area is safe, and you wouldn't mind walking around at night. The downtown area is also close to the Trinity River trails, in which you can easily access through either riding a bicycle or going by foot. It is also quite easy to meet other people in this area because of the many apartment buildings, restaurants, and business establishments nearby. Even though most of the neighborhoods in Fort Worth are deemed as safe, you might still want to steer clear off of some places, such as the North East, Eastside, and South East regions of the city. If you have kids, and you're looking into letting them enter one of the educational institutions of the city, then you need to know the best schools Fort Worth has to offer. If you're intending to pursue a higher degree of learning in Fort Worth, then you can check out its colleges and universities. One particular educational institution worth mentioning is the Tarrant County College District (TCCD). Five campuses make up the TCCD, and they are located in Fort Worth, Arlington, and Hurst. The schools in the district have a diverse population, and it is also quite accessible. Many students even opt to just walk to the location instead of opting to ride a car. An alternate choice to the TCCD is the Texas Christian University or the TCU. It is located in the Southwest region of Fort Worth, and it is a private school that brings emphasis to the individual. The educational institution offers a wide array of courses to choose from (over 200 of them), and there are also undergraduate and doctoral levels of education on offer. According to a 2015 census, about 40% of the residents in Fort Worth, Texas do own about two cars. Approximately 20% of the population of the city have at least one car. The number of people not owning a car or vehicle has declined since 2014. Like many other investments and expenses in Fort Worth, having your car insured won't put too much dent in your bank account. According to an article written by Matt Schmitz of Cars.com, Dallas and Fort Worth are ranked 13th from having the most expensive car insurance in the nation. For comparison's sake, the most expensive place to get car insurance is in Detroit. Quote Wizard drills down into the nitty-gritty of the information about the car insurance rates in Fort Worth. It is reported that the average cost of auto insurance in Texas is $905.64, as compared to the national average of $866.31. Liability costs have an average of $516.26 annually, and collision protection prices will cost approximately $357.61. However, prices can change depending on the coverage, limits, and the number of claims filed within a particular zip code. Below is a short list of the most requested car insurance quotes for specific makes and models owned by people in Fort Worth from last year. Getting car insurance is required in the US, and if you're planning on owning a car or perhaps would want to change policies with an insurance company in Fort Worth, then there's a good number of options to browse through. Some prime examples include Allstate, Progressive, Nationwide, Esurance, USAA, and Safeco. Gas prices in Fort Worth, Texas are fairly reasonable to deal with. The city has no shortage of gas stops, and most of them have an average of $2.07 per gallon. That figure is quite similar to the entire state. As such, you might not mind taking your car along practically anywhere you'd want to go, even if it's just a short trip. But if you want to save up on gas, then many attractions and locations in Fort Worth can still be reachable through walking or by riding a bicycle. If you're still new to the city, you might want to leave your car at home and just enjoy the sights while taking a ride in the city's public commute system. You can even take advantage of public transportation to go to-and-from Dallas and Fort Worth. The options include the DART bus system, Fort Worth's Transportation Authority (commonly known as "The T"), and the Trinity Railway Express (TRE). For the DART bus system, it operates throughout Dallas and 11 of its surrounding cities, including Garland, Plano, and Carrollton. There are 64 DART rail stations, and this particular public commute system helps over 220,000 people reach their destinations every day. 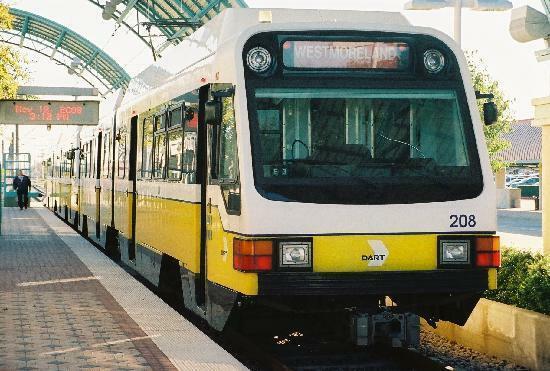 In addition to their standard routes, DART also offers transits to certain venues, such as convention centers, nearby airports, and hotspots located in the downtown area. As for the TRE, or the Trinity Railway Express, it offers faster travel for passengers to-and-from Dallas and Fort Worth. Because it connects both cities by rail, it is especially advantageous for commuters living in Arlington, Richland Hills, and Irving. Fort Worth also has park and ride stations for commuters that have vehicles but live outside public transit service areas. These facilities are available for a fixed fee throughout the transportation areas of the cities of Fort Worth and Dallas. Just like its gas prices, fees for public transportation in Fort Worth are affordable. According to WalkScore.com, Fort Worth is the 41st most walkable largest city in the nation. It has a population of over 740,000 residents, and many of its locations can be accessed through light travel. Even though the city is not very bike-friendly, because it doesn't have a lot of bike lanes, you can opt to walk towards its various destinations. It is also reported that the most walkable neighborhoods in the city are Linwood, Bluebonnet Hills, and Bluebonnet Place. Looking for a house or apartment in Fort Worth might fit your desired budget. Even though it has been seen that home resale inventories have their prices increased by about 1% since April 2017, the median listing price remained the same in the months of April and May of this year. According to RealtyTrac, some homes that went up for sale went up by 1% during the month of February 2017, in contrast to January of the same year. As for the median sales price of a non-distressed home, it is reported to be at $40,388. In March 2017, the number of properties that attained a notice of foreclosure is 27% higher than the previous month. The figure is 2% higher than the same period of last year. Even if your purpose for moving to Fort Worth, Texas is related to your job that you won't treat yourself to the many sights the city has to offer. Always remember that this is the city where arts and culture meet with the Wild West. It provides a unique experience for both residents and visitors alike. Its connection to the old cowboy culture with modern sophistication is one of the reasons why "Cowtown" is a must-see for many individuals (which might even include you). Here are some sights to see while you're in Fort Worth. 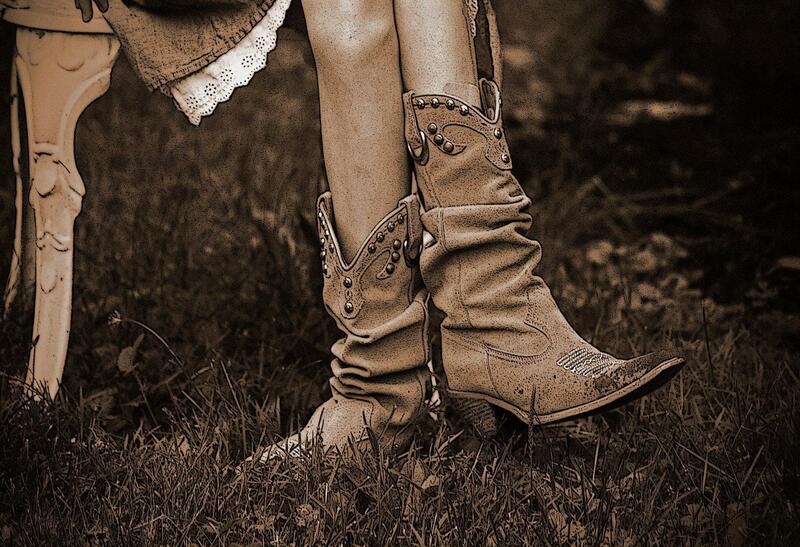 Those who are looking for a true Western experience can visit the Fort Worth Stockyards and Rodeo. Since this is the city "where the West begins," this location lets you experience a live cattle drive as you get "roped into" the excitement of the crowd. In here, you can also marvel at the side of the Stockyards Championship Rodeo as you see actual cowboys do what they do best. On Friday and Saturday evenings from the months of May to September, you can head over to the Cowtown Coliseum to enjoy Pawnee Bills' Wild West Show. This cowboy display is a must-see for every member of the family. The Fort Worth Water Gardens is located in the downtown area of the city, and it has three pools that offer a more serene experience as compared to taking part of the excitement of a rodeo. It allows guests to marvel at the Phillip Johnson-designed engineering and architecture pieces while walking around the area at their pace. However, even though the pools look so tempting to swim in, especially during the city's hottest days of the year, swimming in them is not encouraged. The Fort Worth Bass Performance Hall is a popular attraction for individuals who are into the performing arts. In fact, it is a mainstay of the national performing arts acts, and there are also touring Broadway shows that do visit the city and play at this location. This particular establishment is also the home of the Fort Worth Opera, the Texas Ballet Theater, and the Fort Worth Symphony Orchestra. Billy Bob's Texas is recognized as the "World's Largest Honky-Tonk," and it is the go-to place for individuals who love country music and people-watchers alike. This club is quite large as it stands on top 3 acres of land, and it even has a Texas-sized dance floor AND a Live Pro Bull Riding ring, all under one roof. If you've heard of Merle Haggard, then know that this is the place where he bought the entire club a round of drinks after he set a world record. It is a place where sophistication meets the eyes and souls of those who wander into the establishment. This Fort Worth museum designed by the famous architect Phillip Johnson, and it is home to one of the largest storage areas of American photography in the nation. It is the permanent home of many paintings that come from the 19th to the 20th century. There are also sculptures and other art pieces to enjoy and marvel. If you want to check out the oldest botanic gardens in Texas, then look no further than the Fort Worth Botanic Gardens. It is the home to over 2,500 plant species, and these are spread out across 23 specialty gardens. For instance, if you want to grab an Asian scene located in a Western atmosphere, then you can visit the Japanese Garden attraction. In here, you can experience a world-renowned outdoor destination as you take a look at plants, waterfalls, and koi-filled ponds. Once again, swimming is not encouraged in these ponds. Sundance Square is the historic shopping and entertainment district of Fort Worth, and it is located in the heart of the city's downtown area. It is even recognized as one of the nation's safest, cleanest, and most walkable urban areas. There's plenty to enjoy in this district as it covers 35 blocks of nightlife, shops, restaurants, performing arts venues, and galleries. If your kids fancy seeing animals prance about and doing their business, or perhaps you'd like to observe monkeys, and other animals do their things, then you can visit the Fort Worth Zoo. The zoo was established back in 1909, and it has seen then grown into the home of many native and exotic animals. It even has walkways and picnic areas if you want to spend your Sunday afternoon eating sandwiches while taking a look at the Parrot Paradise. It can be difficult to move to Fort Worth, especially if this is going to be your first time relocating. However, some businesses can help you in achieving a successful move. For instance, if you're purchasing or renting out a home, condo, or apartment that still has no furniture, then looking for a store that sells a bed and other things should be one of your top priorities. You can check out There's No Place Like Home Furniture if you're looking to get furniture that has a classic and comfortable look for your new abode. You can also opt for the family-owned business that is Wolf Rustic Furniture if the style you want for your home provides a more "country" tone to fit the city. There are times when the previous tenants of your apartment or the previous owners of the house you've just purchased left holes in the walls, broken light sockets, and other things that need repairs. If this is the case, finding out where to buy tools and equipment for repairs is given importance. For your hardware needs, you can check out Morey Lumber & Hardware. This small hardware store is associated with the popular (and larger) chain that is Ace Hardware. It's been around for quite a while in the same location, and chances are it's not going to close down or move anytime soon (at the time of writing). Other hardware options include Pierce Hardware, 3H Hardware, and The Home Depot. There might be a lot of information to go through in here, but we hope that you will find it helpful for when you're about to move to Fort Worth, Texas. Upon your arrival to your new home in "Cowtown," you might even want to go back to this page to see if there's any sights, sounds, or pieces of information you've missed out. Once you've read through what's in here, perhaps all that's left is to experience the life "where the West began."